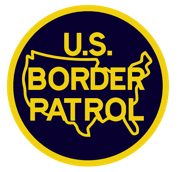 The U.S. Border Patrol Academy is revamping basic training for new trainees entering the academy in an effort to produce better-prepared agents. The academy has transitioned from the 66-day basic training curriculum that for years enabled the agency to distribute agents into the field quickly and has instead implemented a 117-day basic training program. The new 117-day curriculum includes a substantial amount of scenario-based training in comparison to previous curriculums. This training method takes the trainee through more real-life scenarios by blurring the lines between training and reality in a controlled environment. This method of training allows the trainee to better analyze his or her decisions based on a memory bank of experiences now available through scenarios experienced during the course of their training. The extended stay at the academy also allows for more in-depth training in all disciplines, such as driving, firearms, physical techniques, command of the Spanish language, and tactics. With the presidential mandate of hiring 5,000 additional agents and replacing the ones lost through attrition, the aim is to produce better equipped and better trained agents than ever before. Agents graduating from the new 117-day curriculum will be deployed into the field ready to serve, with certifications and skills previously reserved for seasoned agents. Although, hiring and training 5,000 agents will prove challenging to the agency, Chief Patrol Agent Dan Harris Jr. says he knows the Border Patrol Academy will rise to the occasion.